This week we are featuring Bloom Bake Shop in the beautiful Wisconsin City of Madison; only a quick drive from our headquarters! Their lovely cakes, breads, and breakfasts will inspire you with their beauty. A visit to their shop is truly the way to set the tone for a wonderful day. We asked founder Annemarie to share the story of their shop. Read on to see what she had to say, and be sure to check out their website, Yelp, Instagram, Facebook, & Twitter pages! Bloom Bake Shop is nestled in the heart of Madison, Wisconsin at 1851 Monroe Street. At Bloom our mission is to create beautiful and delicious breakfast all day as well as fresh bakery and gorgeous wedding desserts. Bloom has grown from a combination of desire and education; the desire for good food and an in-depth, informal education of what ‘good’ means. 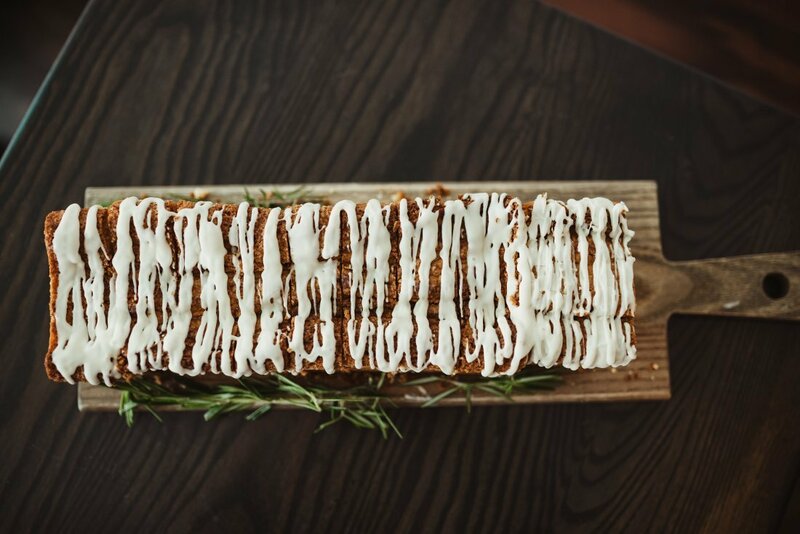 At Bloom you’ll find food that is good in more than taste (though there’s plenty of that!). There is a story behind every ingredient because we choose to know the people who grow or create the ingredients we use in our bakery and cafe. And because of that commitment you can taste the love from them and from us. At Bloom we bake in small batches. Small-batch means baking by hand, fresh, daily. Each and every recipe we create is uniquely our own. 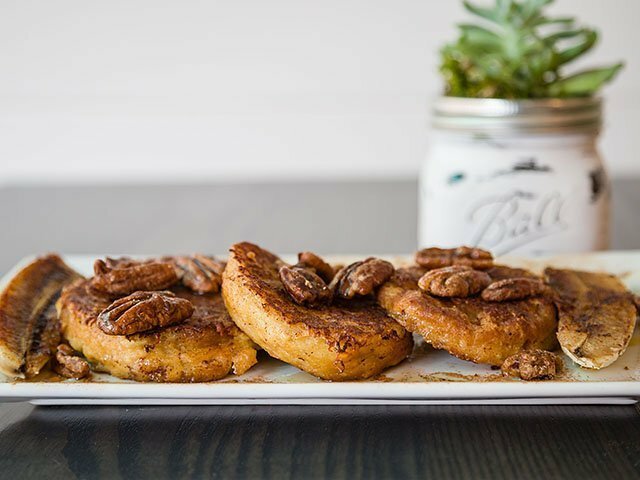 We believe in the power of real, good food; and that means baking in season, sourcing locally, and following Fair-Trade, organic, non-gmo practices. It all started with dessert. From an early age, Annemarie, the owner, has been intrigued with creating delicious, mouth-watering desserts from scratch. Her father greatly encouraged her use of pairing unlikely ingredients to encourage flavors to play off of one another. Seasonal menus allow her to showcase the best local produce and purveyors that the area has to offer. Creative endeavors include citrus lavender & ganache layer cakes, lemon rosemary and olive oil slices, heirloom apple pies, seasonal galettes, beautiful wedding cakes and more. Bloom also takes pride that most any of their creations are also available Vegan and/or Gluten Free too. And then came breakfast. Mark, her spouse, runs the cafe. 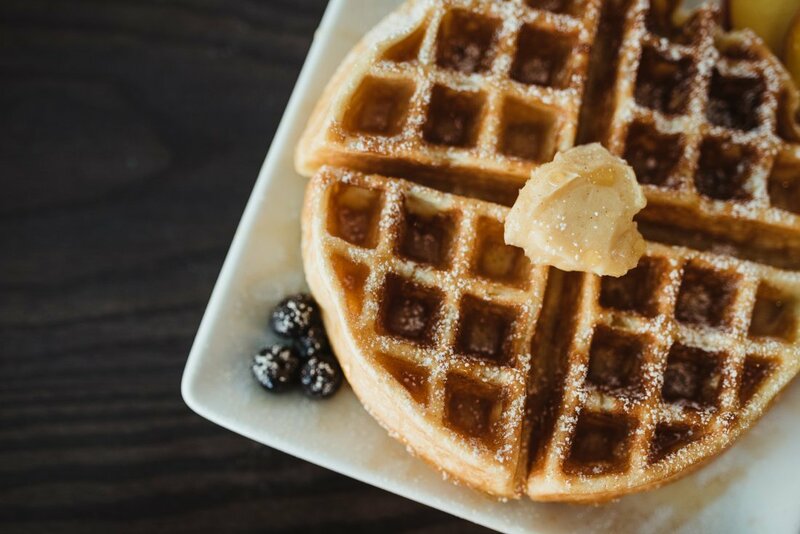 It all started with the buttermilk biscuit sandwiches, but Mark’s creativity and passion for savory dishes grew and so did the breakfast menu! 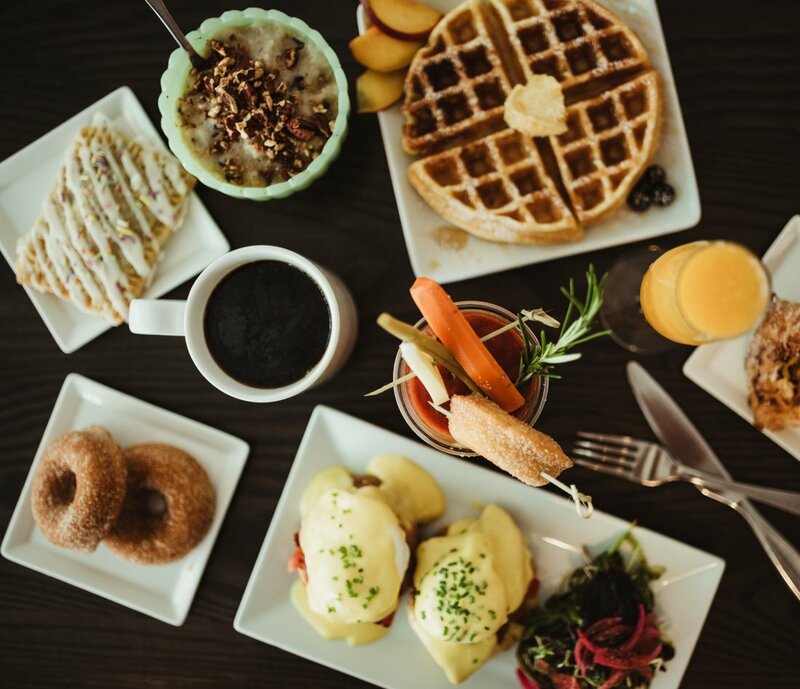 Bloom now offers breakfast all day. 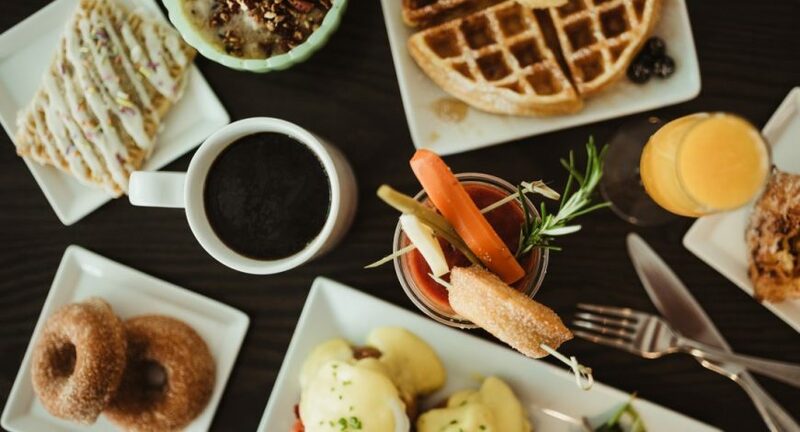 Dishes include: eggs benedict, biscuit french toast, hash cakes and poached eggs, buttermilk waffles, pulled pork biscuit sandwiches, and fresh greens. Even the house made bloody mary’s arrive with doughnuts on top! Come visit us at our new Bakery and Café on Monroe Street!